A ten-year-old name, that is. The entire year that I was going back and forth with my editor and publisher on what would be my first book, I was communicating using a different name. (They still call me by that name, because it’s the one that everyone else pre-publishing calls me.) 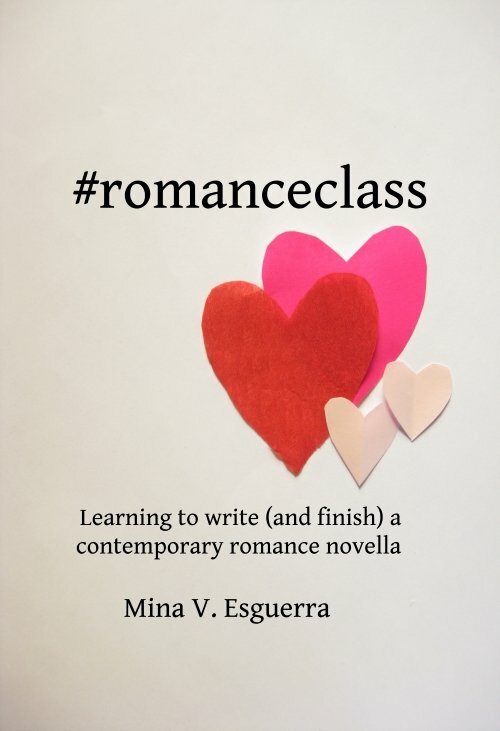 On the day that we got final confirmation that my book My Imaginary Ex would be released, I chose Mina V. Esguerra as my pen name, so now here we are. My time is valuable. I wrote through a lot of life changes, and that affected my productivity, but time spent on writing is not wasted as long as I’m clear about what I’m spending it on. As much as possible I tried to negotiate terms so writing wouldn’t feel like a chore, and valuing my time was a good marker for it. It’s okay to take breaks. Writing has always been easier for me when I write regularly, but I also learned to not be afraid of breaks. Sometimes writing after a break is better. Sometimes the break is necessary. It’s okay to question the way things are in publishing, especially if it’s always somehow about lowering author expectations. How many blog entries on here have been about opening windows after doors closed? And seriously, how much fun would I have missed out on if I gave up after the first closed door? I know I can’t always demand ideal work situations, but I love encountering people who always offer what they feel is right, instead of what is common. “I know everyone else does just this, but we should be doing that and more.” These people exist! And sometimes being that for someone first brings it out in them. Insist on rights reversion. Publishing will only care about a book for a certain period of time, but I’ve seen readers enjoy a ten-year-old book like it was a new release. There are new readers every year, every day even. Recent lesson: It’s worth it to expand to other media. I made worlds and characters. They don’t need to be in one format only. Thank you, readers/friends, for being wonderful to me throughout all of this. Okay, on to the next things!